Painting and decorating can be tough tasks. AfterTheBuilders Ltd. is a company specialised in any kind of decorating services in Wimbledon, SW19. Call us now! If you want to paint or repaint the walls and ceilings in your home or commercial estate you can order our decorating services. Our professional decorators will remove the old paint from the walls, clean the surfaces, which they will paint and apply the needed quantity of paint to cover your walls and ceilings. They will seal the paint to last longer and repair all damaged surfaces before painting them. 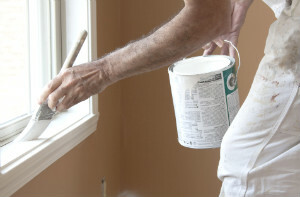 You can expect very professionally done painting work with long lasting results. If you use our decorating services, provided from Wimbledon, SW19 you can be sure your walls and ceilings will be refreshed, without leaving paint splashes and marks on your furniture. Incredible and very skilful professionals! This agency has formed the best team of painters in the city. They changed the appearance of my home in just a few hours without any damages or mistakes. Buying a new property and moving in is often associated with hard work that needs to be done promptly and efficiently. If you have included painting in your home improvement checklist, don’t hesitate to call us right away and arrange a team of experts, experienced in delivering decorating services. You just have to discuss the details with our cooperative call centre supporters. We will provide you with all the necessary supplies so once you book with us, you can concentrate on the other repairs that need to be done. We work seven days a week in Wimbledon, SW19. 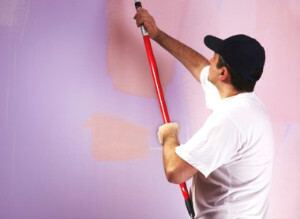 It’s very easy to freshened up your entire place by simply having it repainted. Our company would be glad to do it for you and provide you with ideal decorating services. We are situated in Wimbledon, SW19, where we have proven our professionalism and devotion. We work with a team of painting experts, who are great at their job. All of our employees are chosen among a number of professionals. Therefore, we can guarantee flawless results and perfect performance. We will assist you in the whole process, starting from finding the best paint to the actual painting work. Call us now.